When pursuing a whistleblower case the first step is to carefully check all th laws ans statutes that may apply to your given situation. An example is that although the Whistleblower Protection Act is well?known and has been extensively talked about it only actually covers a small part of the working population. When trying a case and not a federal employee, the case gets covered under different rules of protection altogether. An employment lawyer can work with you to set up some specific laws that pertain to your case if you are going to seek legal recourse. Many kinds of policies are likely to keep you protected in these types of cases. There are those that deal with the federal level while others that pertain to the employees in each state individually. There are also other things to take in to consideration like interpretations of tort and contract laws. They are not directly meant to help whistleblowers, but do anyway. Make sure that you explore all of your options and decide what avenue will bring the best results. There are many cases dealing with whistleblowers that happen in high?reliability and high?risk industries. Healthcare, aviation, infrastructure, and industry falls under OSHA’s Whistleblower Protection Program. It protects the workers under mandate of more than twenty separate federal statutes. 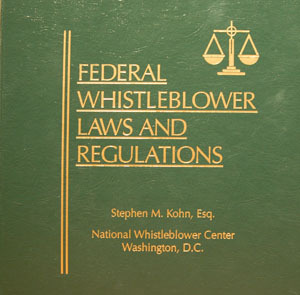 It demonstrates a wide?ranging variety of whistleblower laws. The Clean Air Act has a statue that prevents an employer from persecuting employees who tell authorities about misconduct or breaking of the rules. It also states that any employee who testifies in court against an employer in a federal investigation is not fired. Food production to transportation safety offer similar protections through statutes found in regulatory acts. Financial systems have come under a lot of scrutiny so the financial sector now is subject to whistleblower protections. The Dodd?Frank Wall Street Reform and Consumer Protection Act gives the SEC permission to pay rewards to and protect those who provide information on federal level investigations of financial misconduct. A law passed in 2002 called the Sarbanes?Oxley Act provides federal protections to those who expose fraud in companies that are publically traded on the stock market. Millions of Americans get affected by industries that get targeted by these laws. Whistleblower laws protect public interest and those that choose to share information. Every state has their own protections which more often than not are close to what the federal level statutes state as well. Make sure you know what the laws are in your state because what gets protected by the whistleblower laws varies widely. Employment lawyers in New Jersey are experts when it comes to knowing the latest developments of information that could affect your circumstances. It is very important that you get consult from an employment lawyer in your state. They will be able to give you the most accurate information available. Working outside of the state you live in can make things even harder to navigate. New Jersey’s main whistleblower protection law is the Conscientious Employee Protection Act, or CEPA. Many features of this law closely resemble its federal counterpart. CEPA is, however, different in two ways. It grants rights specifically to healthcare employees so they can report illegal activities and fraud. It also gives rights to those that meet sub par patient care that violates healthcare standards and policies. Elderly or long?term care patients benefit from this the most. 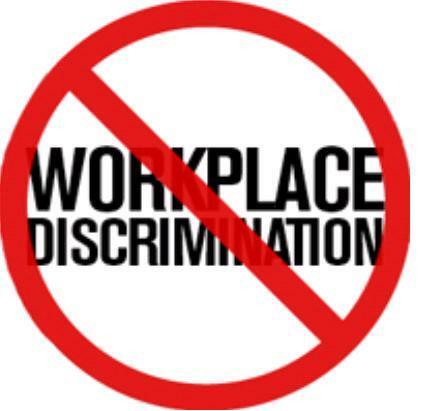 It also gives employees protection when refusing to take part in a companies illegal or improper conduct. Whistleblower laws are never stated outright and experience with the laws is the best chance to figure it out.